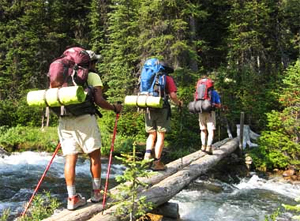 Backpacking, trekking, bushwalking — it has different names in different parts of the world. No matter; wherever you’re from and whatever you call it, it’s one of the best way to get out into nature and enjoy the beautiful wilderness of Banff, Alberta and the surrounding Canadian Rockies. What better way than strapping a pack on your back with gear and food and hitting the trail? It’s a the perfect way to enjoy the outdoors in Western Canada. After a few days, even if you’re not in the best of physical shape, your muscles will firm up and you’ll enjoy the easy pace of a hike. At that point it’s easy to become absorbed in the beauty around you, especially here in the Canadian Rockies: alpine meadows carpeted in wildflowers, soaring peaks adorned with majestic waterfalls, and skies that seem to go on forever. 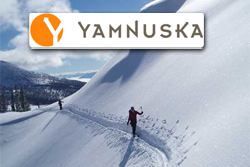 Interested in winter trekking or backpacking on skis? Ski mountaineering or hut-to-hut traverses in the backcountry? Yamnuska can help you with that too.